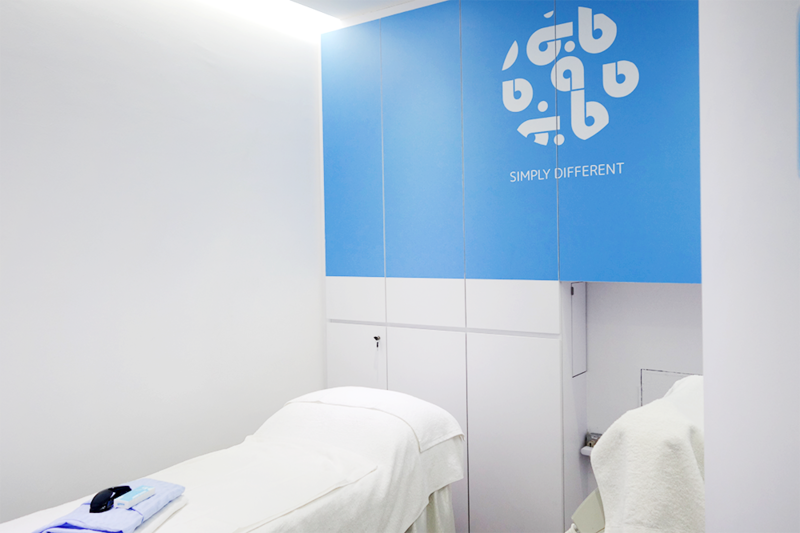 Japan IPL Express (which hereafter I will refer to as JIPL) is the first IPL Express Center in Singapore that firmly believes that simplicity is the ultimate sophistication. At JIPL, there is no need to buy a package nor book an appointment. It is completely worry and hassle free. IPL stands for Intense Pulse Light and is the most effective way to get rid of unwanted hair permanently by retarding its growth. At JIPL, they use state of the art handpieces which are equipped with a safer cooling system - their unique patented development - where the shot intervals are as short as water-cooling models and do not require gel application. This cooling device also ensures a superior result that is not only safer but also a lot more comfortable. JIPL also specializes in skin rejuvenation, skin whitening, acne, pigmentation lesion. and vascular lesion. All their IPL shots go at a rate of $1.98 PER SHOT only! So YOU can decide just what you'd like to pay for. I was allowed to focus on 2 areas of concern during this sponsorship - So I decided on my lower legs (calf area) and the Brazilian (ooohhhh haha!). I didn't choose to IPL my armpits because I always found epilating/shaving my armpits a lot easier than my legs! I also thought I'll mention that I didn't make the photos larger in case the picture of my *ahem* area is too overwhelming lol. So here are some before photos to get you started. I chose to feature a SMALL zoomed in portion of the Brazilian area because we all need an idea of it right? (Right): As you can see, my calves have sparse hairs here and there littered all over the place, including ingrown hair *urgh check out those bumps*, which is not only a hassle to maintain but also difficult to see when I'm at home shaving/epilating. Plus, it doesn't look all smooth and glossy and nice, as I've seen on other people :(. (Left): As for my Brazilian area, the stubble is thick and dark and the area is basically darkened from years of shaving as well. NOT a pretty sight. I never shaved my Va-jay-jay area (LOL) until I hit about 21 and I felt ridiculously freeeeee! It just feels so much cleaner, looks so much better, and FINALLY no nastiness whenever my period rolls around (YUCKS!). However, the annoying dark shade around the area and the irritatingly itchy growing-out period finally took its toll on me so I decided to IPL all my issues away! I decided to go to the outlet at Holland Village, mostly because it's so SUPER convenient hello!? 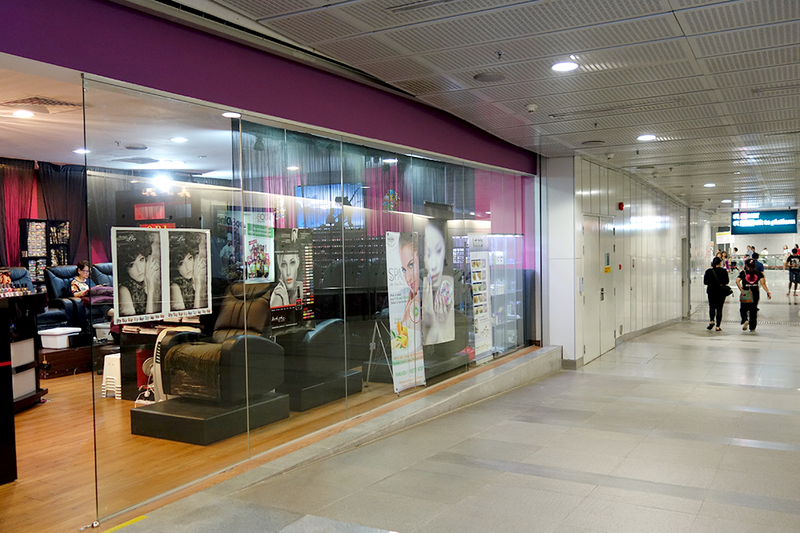 It's located RIGHT inside the MRT link area so you literally walk out and take 1 minute to reach. When they say no hassle, they mean it. If you're wondering, above is a picture where I'm literally standing OUTSIDE the shop and taking a photo of the MRT exit area. THAT'S HOW NEAR. Anyway, it's not hard to miss the shop because there's a huge gorilla outside waiting for you as you approach. I like how it's so quirky! Some places have these super formal entrances (I'm sure you know some of those) that make me feel ashamed of even having any body hair; but no, this place welcomes you even if you look like a gorilla. What an awesomely liberating feel lol! Since there's no appointment system, you can simply go up to them and, fill in a registration form if you're a first-timer otherwise, just mention your name and go right in! If there's people before you, you will be informed and can choose to wait or come back later. The rooms are very clean and well-maintained as you can see! It's all bright white with hints of blue here and there, which are their signature colors. There's a bed with a towel and a "bath robe" that's more of a tube slipover which you can change into. You can also hang up your clothes on the given hooks and "park your shoes" in a corner hehe, how cute is that! Once you're all ready, the therapist will come in. There are also these safety goggles/visors which will help protect your eyes when you're observing your IPL being done. I think it's really great they've thought out the whole thing. From lessening the pain and risk of your laser being done, to even the wellness of your eyesight: I suppose some people might be sensitive to sudden bursts of light (though I didn't even notice any). All the same, everyone is considered. Here is my lovely therapist today, her name is Glaiza! :) She made me feel comfortable the moment I stepped in. So so friendly! We discussed what I'd like to IPL that day, and she made the call that starting on my Brazilian would be better so I said sure! I laid down, put on the glasses and let her get to work. In ALL honesty I didn't feel awkward at all despite having to lie there with my legs open. I shaved a few days before I went over, but she still helped me shave the remaining and cleaned up whatever I may have missed out. Despite all that, we kept a conversation going and I felt very much at ease even when the IPL started. So for those who worry about your therapist judging your private parts and what not, YOU DON'T NEED TO. They're used to this, so just get comfortable! Next was my calves and I decided to sit up to have a better look. Since I had some ingrown hairs, Glaiza helped me get some of them out before starting on the IPL. Once again, I was just as comfortable. The Brazilian area hurt VERY VERY slightly (read more in Question and Answer below) but the calves didn't at all. It felt literally like someone was shining a warmish torch light against my skin at sporadic moments. Once that was all over, I changed back into my clothes and was ready to leave. Talk about ASAP! Comfortable, quick, and easy. Just the type of thing I like. For the Brazilian I felt tiny snaps against my skin towards the higher-up area as my intensity was above-average for a faster result - still, the pain rated at only 1/10. The lower areas towards the labia were covered with cooling gel before the IPL, and for that I felt NO pain! (the cooling gel was naturally cleaned off after). As for my calves, the pain level was also at a big ZERO. I literally sat up and chatted with the therapist as she went around zapping my hair off. In Singlish, I'd describe that as, "SUPER SHIOK"! Q: Will IPL hurt for me if I have a low pain threshold? There are different intensities, as mentioned, so feel free to mention to the therapist if you've got a low threshold for pain and the intensity of the light will be adjusted for you. No downtime! :) I love that! Q: Will I walk around weirdly after I do a Brazilian IPL? Q: How long till I see an effect? 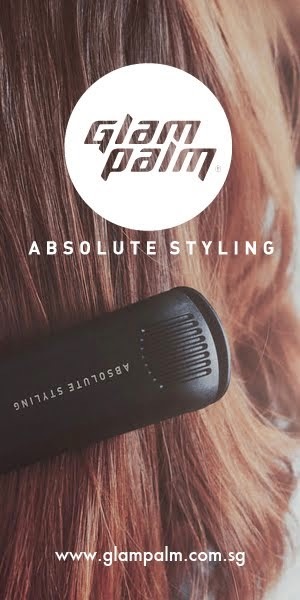 If your hair is coarser and tends to grow out quickly on a normal basis (which you'll naturally notice if you shave/wax), then it might take 2 sessions and above for it to be OBVIOUS though there will be a noticeable change even after 1 session. I'm guessing that my Brazilian will also take awhile before I achieve the effect I want since the hair there is so much thicker and darker. If your hair is quite fine, like my calves, the results should be seen after 1 treatment! 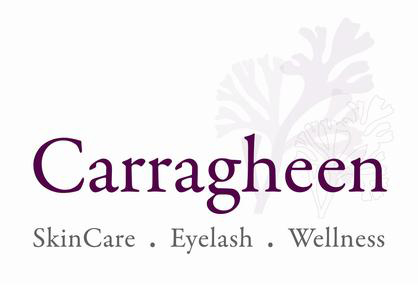 Q: Is the aftercare difficult? Not at all, your areas of IPL will not feel sore nor painful so you can wash over normally. Just stay away from scrubbing or tanning for at least a week. There's also no need to shave since your hair will start to fall out naturally by itself. If after a week, you find that there's some left that you'd like to get rid of, just shave. Try to stay away from plucking/epilating during your IPL process. Also, try your best to moisturize with cream/aloe vera gel whenever you can as IPL can be drying. JIPL does not believe in selling packages, all sales are ala-carte based on $1.98 per shot regardless of amount. Also, no appointments are required when visiting JIPL as they work on a first come first serve basis. 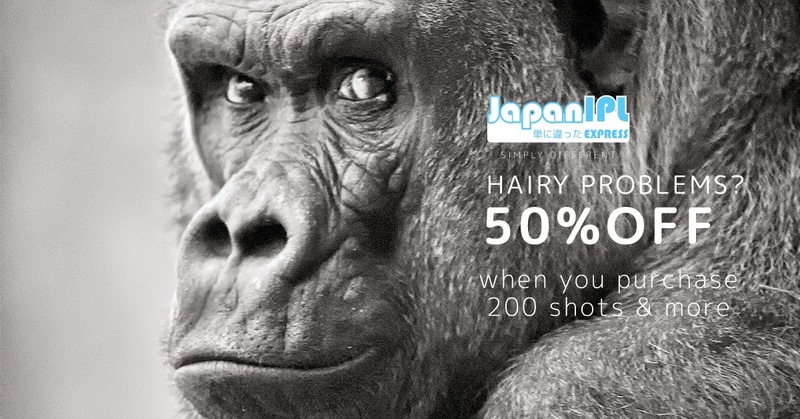 There's an ongoing promotion whereby you get a 50% off if you end up having more than 200 shots! That's extremely worth it to me. Armpits can take about 50 shots, which gauges at about SGD $99. Times 4 of that (to reach 200 shots) and it's about SGD $400. Then calculate the 50% discount, which totals at ONLY SGD $200 for you to do up to 4* areas which is a total steal!!!! *depending on hair thickness and amount per area. 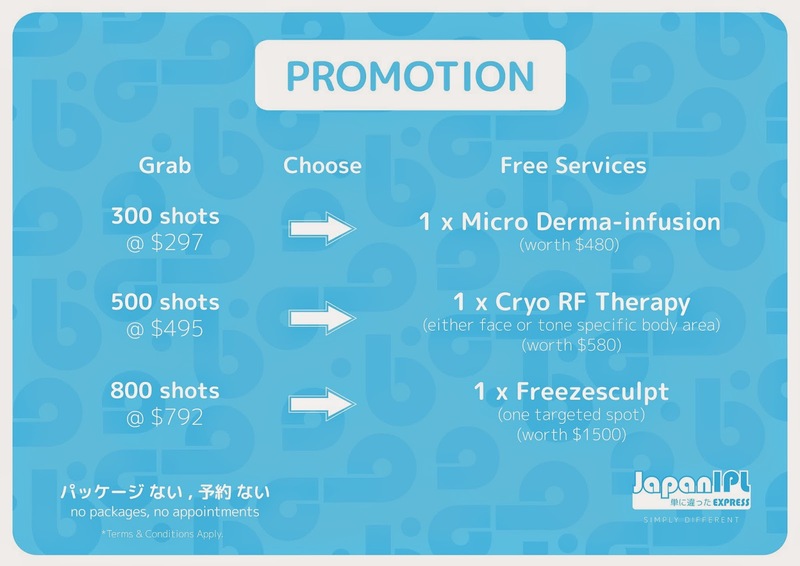 On top of that, you can refer to the chart above to see the Free Services you will receive after getting a certain number of shots done. :) I think the value of the services are more than enough to convince me to sign up! So that's all for now, look out for my second post, which should be in about 2 month's from now. That will be a proper update in all its entirety. Otherwise, do keep up with me on social media such as Facebook and Instagram where I will be giving snippets on my JIPL journey so far! I would say, in about a week's time I will be uploading the differences on Instagram. Goodbye gorilla body hair and hello smooth tofu skin this 2015! Woot! Roughly how many shots for Brazilian? Depends on thickness and quantity of hair. Mine took about 50.